Democratic Rep. Beto O'Rourke raised a record $38.1 million in the third quarter for his underdog campaign to defeat Republican Sen. Ted Cruz in Texas. 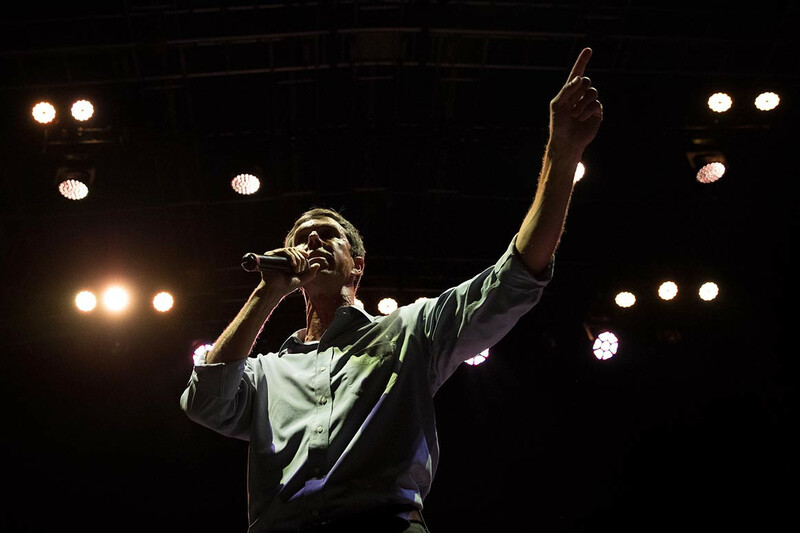 O'Rourke's massive haul easily surpassed the previous single-quarter record, set by Republican Rick Lazio in 2000, when he raised about $22 million in one quarter for his losing New York Senate bid against Hillary Clinton, who was then the first lady. Cruz previously told reporters that he raised $12 million in the final quarter before the election — one of the best fundraising performances of 2018. But O'Rourke's fundraising, fueled by online donors, still tripled the Republican incumbent's. "The people of Texas in all 254 counties are proving that when we reject PACs and come together not as Republicans or Democrats but as Texans and Americans, there’s no stopping us," O'Rourke said in a statement announcing the haul.